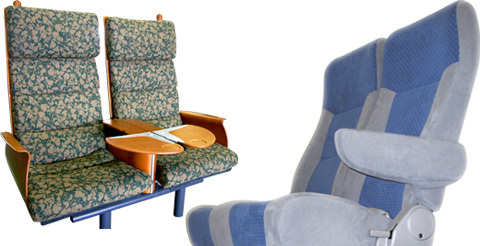 We are a specialized seat manufacturer of transport machine and produce the best seat to be fully satisfied by you. Technical company “SUMINOE INDUSTRIES” who can do from design, development and production. We are a specialized seat manufacturer of vehicles, trains, vessels and other transport machines. We respond flexibly to customers’ requirements even in small amounts and varieties. We also can reseat various kinds of seats. Regardless of ordering volume, please feel free to contact us.